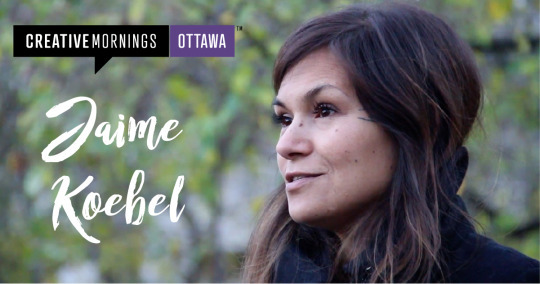 Welcome to CreativeMornings Ottawa Lightning Talks! We can’t wait to have you join us on April 26 at the Ottawa Art Gallery for the second CreativeMornings Lightning Talks. 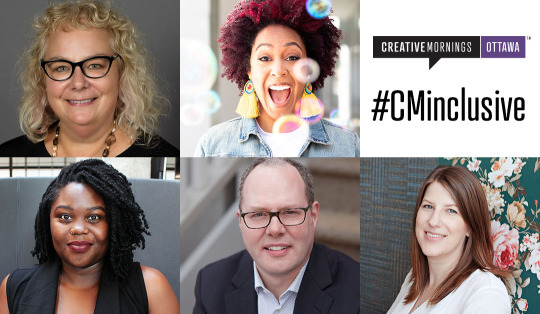 This month, we'll explore the topic of #CMinclusive. We welcome five inspirational speakers, who locally represent successful entrepreneurs, mental health advocates, inclusion consultants, youth workers, freelancers, architects, company presidents, fundraisers and leaders of social innovation. Clary Chambers is an ambitious, queer women of colour who lives with a chronic illness and sparks joy in any room. A successful entrepreneur, Clary will speak on how folks with invisible illness/disabilities navigate their daily lives and environments creatively. She will also propose ideas on how we can encourage this creative potential in such people to collaboratively build communities and workplaces designed for everyone. Sharon Nyangweso is an international digital communications and inclusion consultant specializing in digital experiences and moving visions for inclusivity from aspiration to action. She will share how design thinking frameworks can be used to solve critical inclusion and diversity issues in organizations, projects, and daily life. Her goal is to support everyone to move from just getting women, brown, black, transgender, or marginalized voices in the room as a diversity checkmark, to meaningful, powerful participation and co-creation. Amy Lynch is a freelancer and the founder of ‘Babies, Business + Breakfast’, a community for parents who want to invest in themselves alongside their loved ones. Amy will teach us what happens when you bring children into business settings and inclusive experience tips for organizations, venues, caregivers and their loved ones. Toon Dreessen is a certified LEED AP and a member of the American Institute of Architects. As President, He leads his company in project development and is responsible for award winning projects in infill development, as well as laboratory, research, industrial and high profile projects. We will learn about how he leads the company’s activism in the role of the built environment through social justice, gender equity, and fiscal responsibility. Elspeth McKay, Executive Director of Operation Come Home, is a dedicated fund-raiser, an expert in community economic development and a leader in social innovation. She has years of experience in developing programs such as supported employment, entrepreneurship, education, and social enterprise. We will learn from her leadership and experience as a social enterprise consultant. Free tickets will be available on Friday, April 19 on our website. Join us on March 29 for our talk on the global theme of Water! From its role in the very foundation of our city, to the simple beauty and mystery aquatic life provides in our own backyards, H2O is an essential part of our daily lives. Jérôme and Patrick will make the case for why it is perhaps the most important molecule of all. Jerome studies freshwater and the small living organisms that are key to healthy lakes and rivers. His interest in underwater life has led to novel scientific studies as well as many opportunities to collaborate with local communities, artists, students and journalists who share the same passion for water. Patrick is a biologist by training. Throughout his career, he has channeled this passion to change hearts and minds in classrooms, boardrooms, city halls, legislative assemblies and beyond. He has also developed strong expertise in environmental policy and non-profit management. At the end of this talk, at the very least, you’ll leave as an inspired advocate for clean water!Free tickets will be available here on March 22. 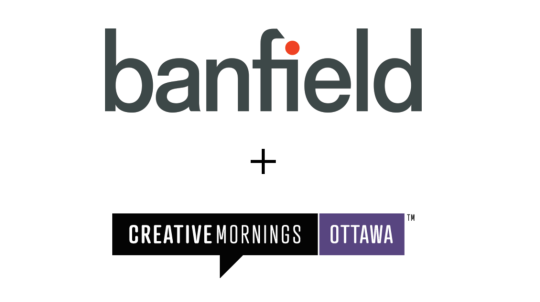 Introducing CreativeMornings Ottawa’s newest Supporting Partner - Banfield Agency! 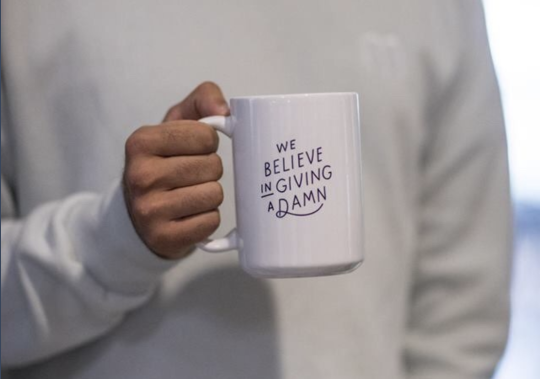 2019 has been good to CreativeMornings Ottawa so far. We’ve settled in nicely at our new permanent home at the Ottawa Art Gallery, Finn continues to be our official photographer and we have the wonderful team at No Hands filming our talks every month. Now, we are EXTREMELY excited to say that Banfield Agency has joined us as a Supporting Partner for 2019! As you know, CreativeMornings is a volunteer run organization, and we rely on our sponsors to bring you these events every month. With Banfield’s help, we’ll be able to deliver even better events for our creative community! Stay tuned to see what Banfield has in store this year, and help us send them some love on social media! You can find them on Facebook, Twitter and Instagram. Banfield Agency is not only generous, they’re also one of Ottawa’s top creative agencies. Since 1973, Banfield has helped brands move forward in the face of change by putting people at the heart of everything they do — from the relationships they build with their local, national and global clients, to the solutions and stories they create to connect with audiences. Oh, and they have a pretty awesome and beautifully designed insight report for those of you who want to stay on top of marketing trends: The Now Report. 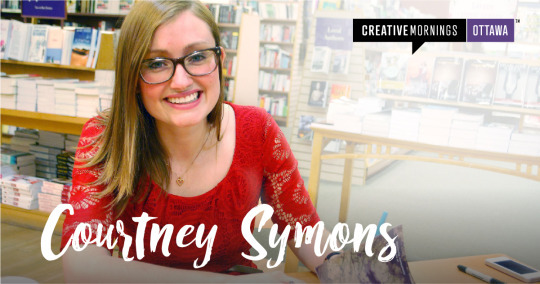 We’re welcoming Courtney Symons to the CreativeMornings Ottawa stage on February 22 at the Ottawa Art Gallery! Courtney is Shopify’s Lead Writer, a self-published author and an experienced haikuist. In a previous life, she was a journalist covering technology and business news. This month, we’re talking symmetry. We were all taught about symmetry in grade school, but its usefulness extends well beyond the classroom. 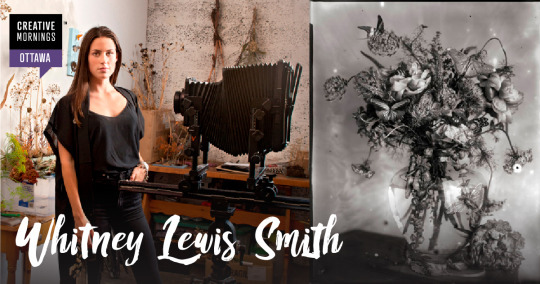 Courtney will share her research about the science behind symmetry, its powerful presence in our lives, and how we can harness it to create more balanced and creative versions of ourselves. Mark your calendar to grab your free tickets on February 18 at 11 am on our website. January is the time to make resolutions! Inspired by the St. Pete’s chapter and Ottawa’s first zero waste store NU Grocery, we embarked on a zero waste journey. Did you know that our morning coffee habit creates enormous amounts of waste? The coffee cups alone produce a staggering 16 billion tons of waste every year! That’s why over the past few months, together with friends at NU we reduced our waste, eliminated single-use plastics from our catering, started composting and expanded our mug library! And we ask you to bring your own reusable mug to help us create a waste-free morning every month. Our 2019 resolution is to make our CreativeMornings events waste-free! What’s yours? 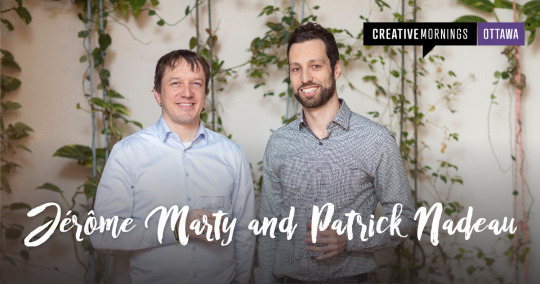 It’s the last CreativeMornings Ottawa of 2018! Join us at the Ottawa Art Gallery on December 21 for our talk on the global theme, Tradition. This month we’re inviting Jaime Morse (formerly Koebel), Nehiyaw/Michif (Cree/Métis) from Lac La Biche, AB, to the stage. Jaime helps connect others to history and culture, inspiring and empowering people through art, dance, education and traditional practices. An artist, educator, dancer, and curator, Jaime will be speaking on traditional practices passed down to her, how she applies those traditions to her art, and how the connection to tradition through research and sharing keeps it relevant, not only for the present but for future generations. Tickets will go live Friday, December 14 at 11 a.m.! 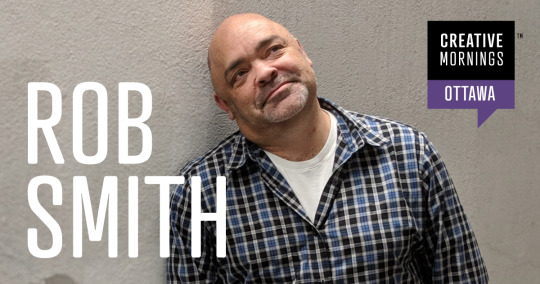 Join us on Friday, November 23 as we welcome Robert Smith, founder and creative director of Greenmelon, an Ottawa based branding agency to the CreativeMornings Ottawa stage for this month’s talk on the global theme restart! Tickets will be released on Friday, November 16 at 11 a.m. on the CreativeMornings Ottawa website, stay tuned! Amen Jafri spent a decade working the 9 to 5 as a public servant, masking her creative ambitions by day and unleashing them by night. It was only after she became honest with herself that she decided to quit her day job and launch a new creative path, on her own terms. 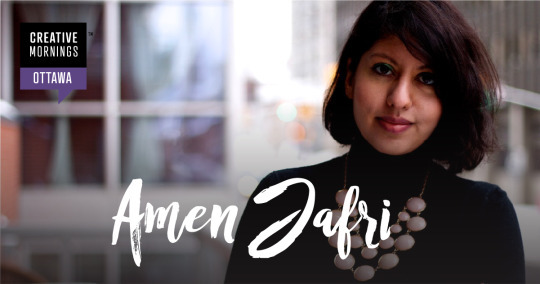 Today, Amen Jafri is a successful documentary filmmaker and branding consultant for artists and creatives. Her first film, The City That Fun Forgot?, was made without any prior experience and it had a sold-out premiere in 2014, garnering local and national media coverage. Join us on October 26 from 8:30 am to 10:00 am at Arts Court where Amen will share why self-honesty is needed to bolster creative expression, and how it can be incorporated into how you promote and brand yourself as a creative. Learn more about Amen and her work on her website! Free tickets will be released here on October 19 at 11 am. 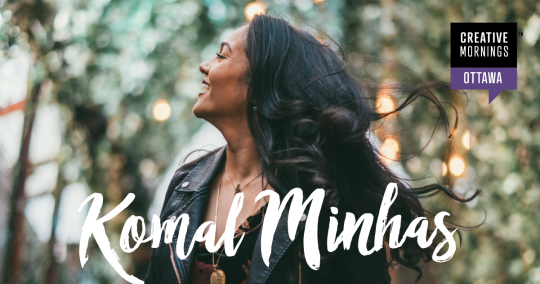 You won’t want to miss this month’s talk with the amazingly inspirational Komal Minhas, angel investor, speaker and media-maker based in Ottawa. Komal will be speaking on building strong pillars of wellness, community and purpose to hold onto through our own chaotic times, to take pride in the resiliency that chaos builds in us, and to embrace whatever season of life you’re in right now. We are in control of the story we tell ourselves about the events that unfold before us. We can view chaos as a freight train hitting our soul or we can see it as a catalyst for clarity. Join us on Friday, September 28 from 8:30 a.m. to 10 a.m. at Telfer School of Management, University of Ottawa as we explore this month’s theme ‘CHAOS’. Tickets for this month’s talk will be released on Friday, September 21 at 11 a.m. on the CreativeMornings Ottawa website.